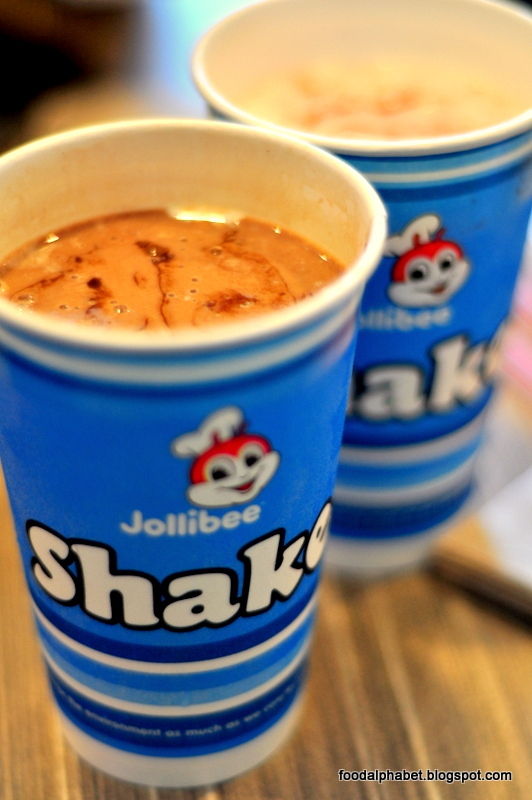 The Food Alphabet and More: Jollibee Creamy Shakes cools you off this hot hot summer! 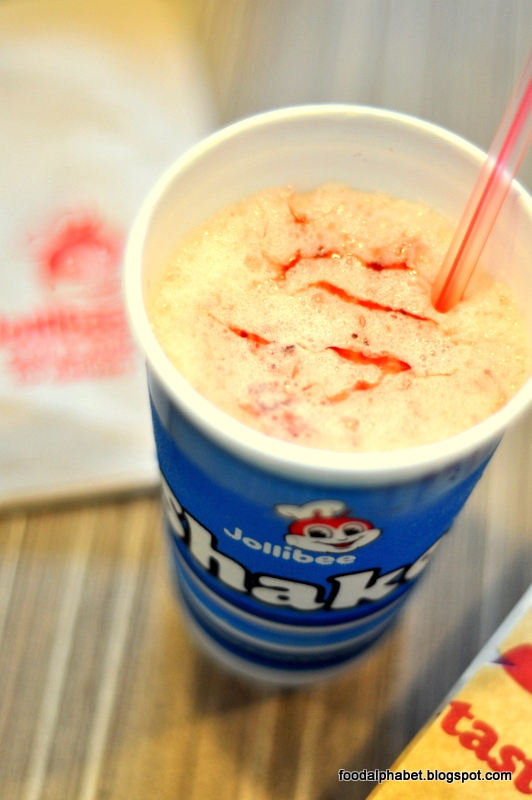 Jollibee Creamy Shakes cools you off this hot hot summer! Starting today May 1, 2014, indulge in Jollibee's newest summer heat buster! We were very privileged to have been one of the first few to enjoy this creamy shake from Jollibee and we got to say that they are indeed creamy-licious! A cool creamy shake, made with a superb mix of vanilla soft-serve, pure chocolate goodness topped with rich Hershey's Chocolate syrup, thick and creamy, sip it up and feel it satisfy and quench your thirst. What's best about this? 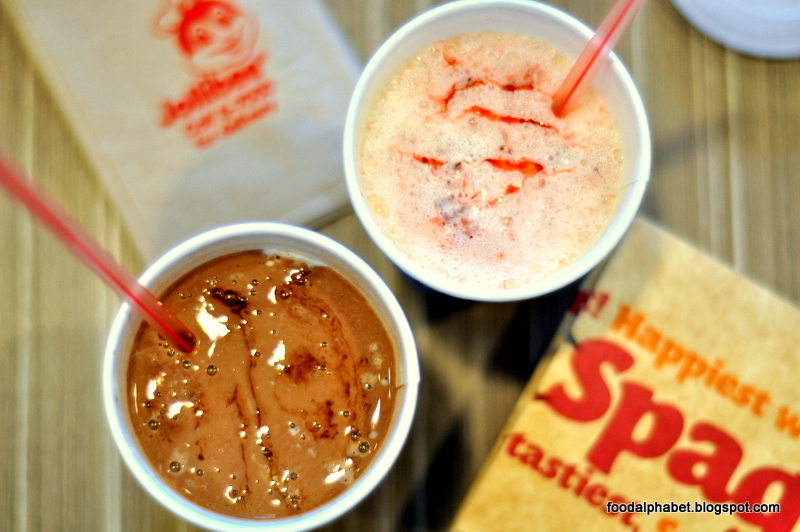 Jollibee's Creamy Shake is only P39.00! Yes you read the right! This sweet indulgence is unbelievably so affordable that you can have it everyday! You can also enjoy it with your favorite meals. Enjoy Jollibee's Creamy Shake for a limited time! Also available in strawberry flavor. Go on, give in to Jollibee's Creamy Shakes!